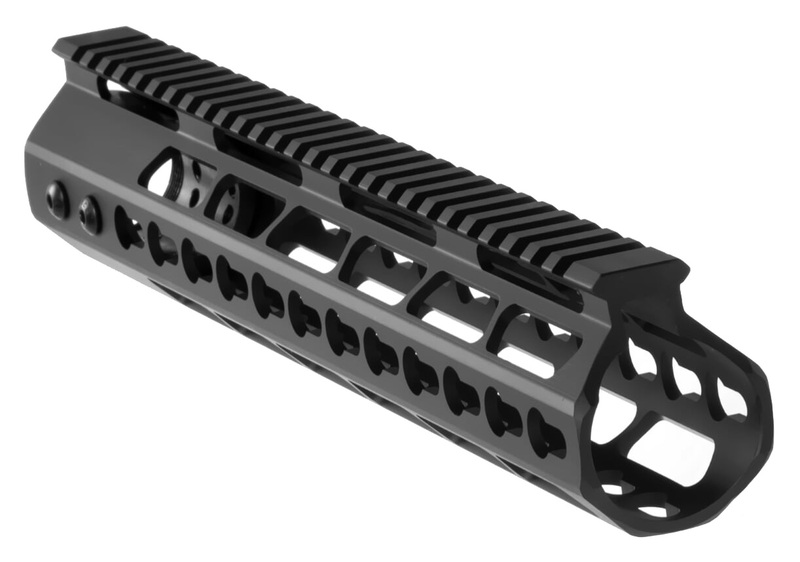 This lightweight handguard features a slim profile with Keymod attachment points along the full 12” in length. It is machined from 6061-T6 aluminum and has a type III hardcoat anodized finish for excellent corrosion resistance. This AR-15 free float handguard is compatible with all Mil-Spec upper receivers and most low-profile gas blocks, so you have the freedom to build your rifle the way that you want. It is easy to install with the included barrel nut and mounting hardware.